If you like Minecraft and crossy road, you can now combine in this minigame for Minecraft. Crossy Road 1.8 is a map, which quietly might consider how a minigame, as it is a version of Minecraft of the popular game for mobile devices, crossy road, but in this case instead of cars, we wagons and instead of trains, super fast villagers, willing to run you over. In this map we follow the same mechanics on the crossy road game, get get to the farm in the shortest possible time. To do this we go dodging road vehicles full of villagers, dodging speeding trains and cross rivers jumping from log to log, to get to get to the farm. Can we get bonus gold, we can change the unit to unlock new characters. 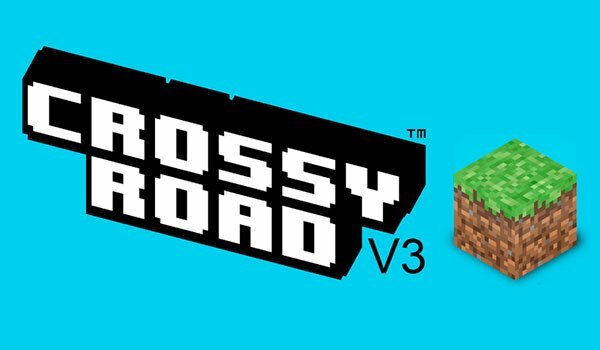 How to install Crossy Road Map for Minecraft 1.8? Crossy road in Minecraft version!